Lion Shipping owns all legally required insurance and additional insurance of P&I Club. Your goods are in the hands of a professional crew, with years of experience, who possesses all the necessary licenses for sailing from the Black Sea to ports in the Netherlands. In addition, MS Danube Lion of the Lion Shipping Company owns the Danube and Rhine patent, which means you can sail upstream to the ports of Western Europe, Amsterdam, Rotterdam, Antwerp and downstream to the Black Sea. 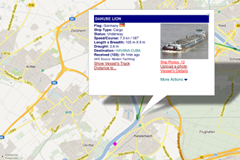 MS Danube Lion has the GMP certification for the transport of livestock feed.